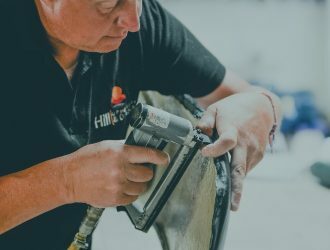 Established in 1999 as S.Hill Upholstery by husband and wife team Scott and Tanya Hill, the business is based just off the A13 in Fobbing, Essex. In the years since we have established a reputation for excellence and continued to adapt and evolve our team to ensure we maintain those high standards. With 2015 came the launch of a new name and logo – Hill Upholstery & Design – to reflect how the company stands today and the dynamic future that lies ahead. 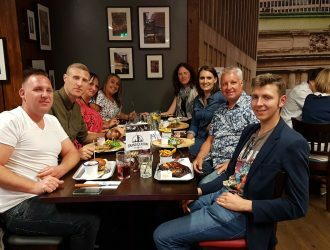 Meet the team below or to find out how we can help you, take a look at the services we offer on our Commercial or At Home page. As well as being a dab hand on the surfboard, Scott Hill’s passion is upholstery. He comes from a long line of upholsterers, his mother & father and uncles too and followed in the family trade from the age of 16. Now with 35 years’ experience under his belt, Scott’s ability, creativity and knowledge of the industry is second to none. Over five years ago Scott & Tanya took on Upholsterer Terry, who taught by Scott has become Scott’s right hand man in the workshop, overseeing the jobs as they enter the workshop and the team which include talented machinist Mandy and the hard working apprentice Joe. Tanya Hill, Scott’s wife, was involved with the company from the very beginning. Over the years, she has personally developed the highly-effective booking systems and procedures that ensure the office side of the business runs smoothly for all clients. 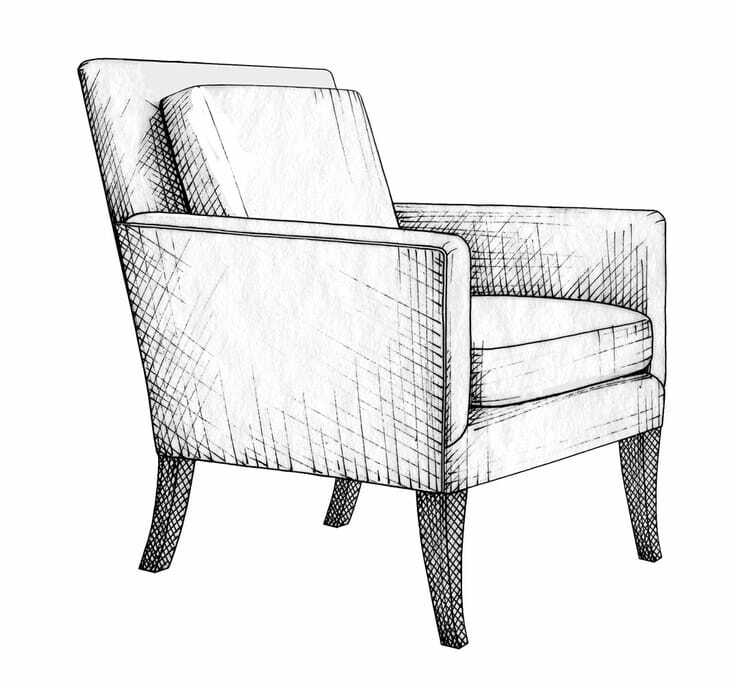 Tanya’s background in design allows her to help bespoke upholstery projects turn from an idea into a detailed plan ready for the workshop to manufacture. Tanya has now taken a step away from the day to day at Hill Upholstery & Design and works as an Action Coach, passing on her business acumen and know-how onto to other business owners. 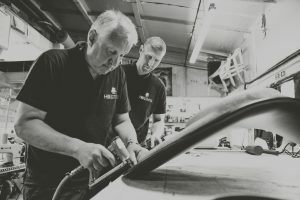 As Hill Upholstery & Design has grown in demand, so has the team. In 2015, Scott and Tanya took on Helen as Office Manager to take over the day-to-day running of the business. She has more than 15 years of experience in customer service and account management, and supported by Office Assistant Hayley, ensures all clients are in safe hands throughout the upholstery process from initial inquiry to finished article. As your first point of contact, the office team, which is completed by apprentice Daisy and Accounts Assistant Sara, is always happy to help.